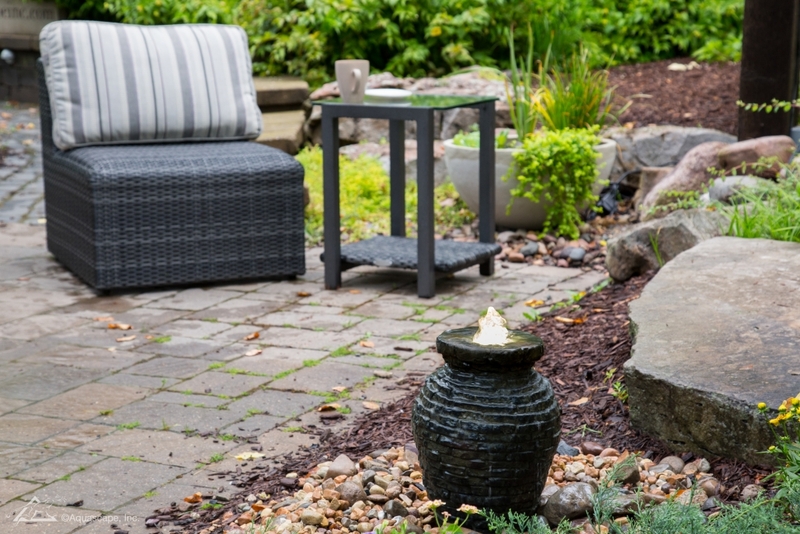 This Mini Stacked Slate Urn Fountain sits perfectly on nearly any patio. 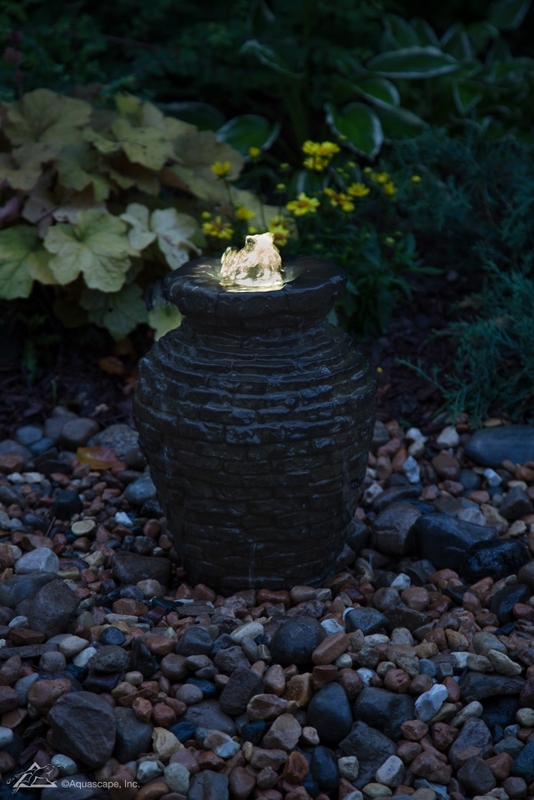 Beautiful and elegant, the Mini Stacked Slate Urn Fountain will accent as a backyard water feature or as a stand alone water feature. As the name implies, this Urn fountain also has the benefit of being either a fire fountain or water fountain. As you can see up close, the Mini Stacked Slate Urn Fountain is quite stunning! Combine fire and water for the perfect water feature fountain. Try adding in various Urns throughout your waterscape to accentuate your feature. The Rippled Urn – Use Fire or Water! The Stacked Slate Urn (Also called the Rippled Urn) slides right into this landscape, and looking beautiful while doing so. 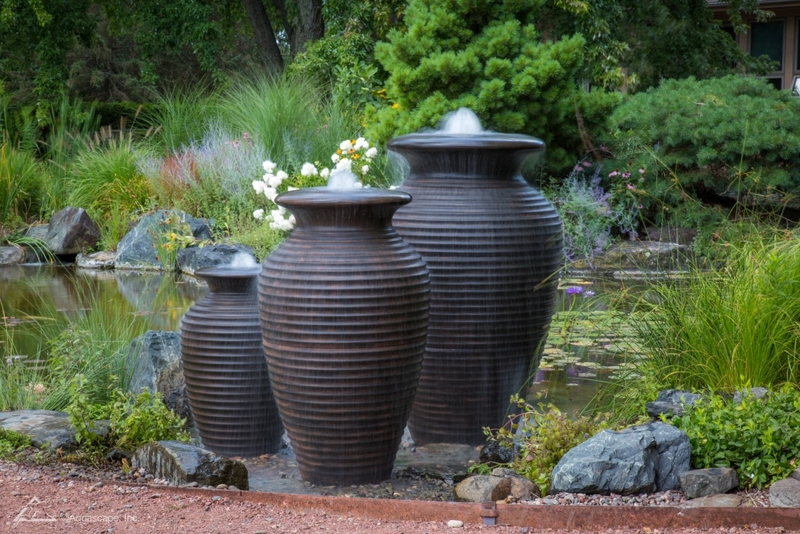 While the Rippled Urn is larger than the mini, it can provide a great accent to other water features, or even plants in the surrounding area. 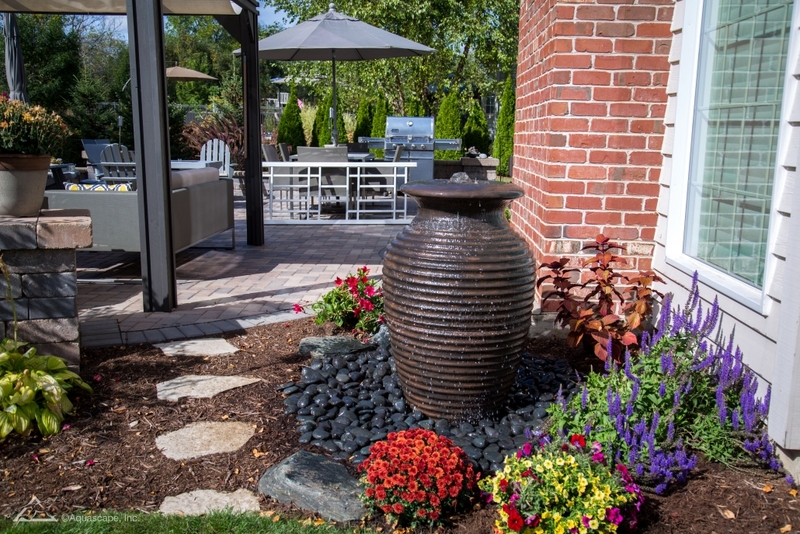 Try mixing and matching various Urns to create the perfect patio decoration! After using water during the day, switch to fire at night for a relaxing and fiery ambiance. Be entranced! 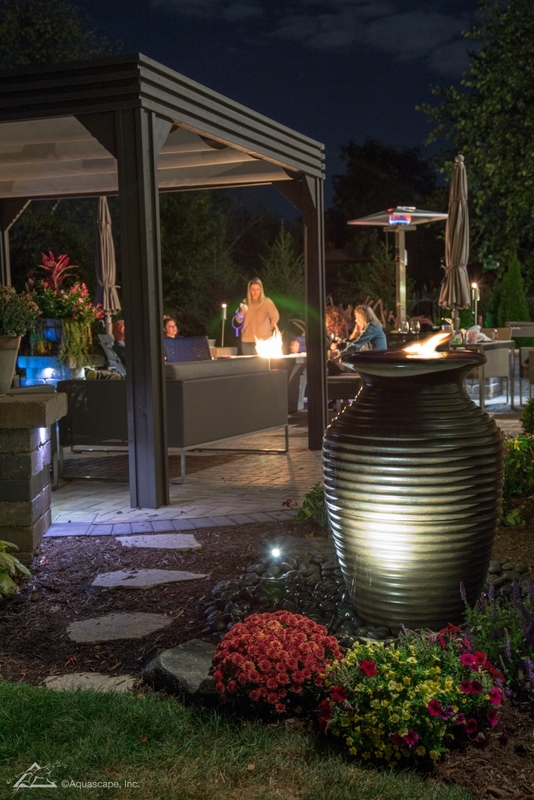 With three sizes to choose from (or choose all three), you’ll have plenty of options to fill your patio or backyard with ambiance. Whether it be a Fire Urn, Water Urn, or perhaps both, our Urns are sure to make your yard look better, sound better, and provide a relaxing atmosphere conducive to relieving stress. Click the button to check out our current stock!